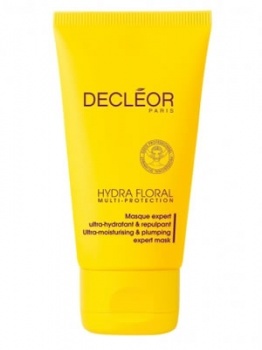 Decleor Hydra Floral Ultra Moisturising Mask brings together all of the knowhow of Decleor, to offer a true moisturising skin bath, for hydrated skin in 10 minutes. Transforming into a fine oil on application, the mask allows you to massage it into the skin. 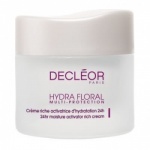 Hyaluronic Acid instantly plumps skin to smooth out fine lines and wrinkles. This mask works in just 10 minutes but can lasts 24 hours. Ideal for all skin types. Use once or twice a week when skin needs a boost.